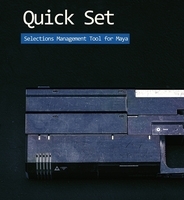 Asset management for Maya made simple. "better than openPipeline and other asset ma..."
"very cool tool, will come in handy." "Five stars, not less!! Awesome script, real..."
"Awesome tool. Lets you organize your assets..."
"My BFA Thesis was a short animated film mad..."
Asset management becomes very complex as the project progresses, even for a one man army like me, and the right way to tackle it is to make the process as simple as possible, and this tool just simply does that. Simply awesome. Thank you for this life saver. My BFA Thesis was a short animated film made in collaboration with a small team. 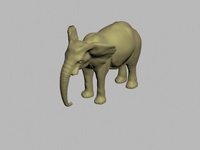 simpleTools made it possible for us to easily organize, import and reference our files and textures with ease; a task that had been a nightmare beforehand. clapperboy responded to bugs and feature requests quickly and politely. We couldn't have done it without simpletools. Excellent tool, nothing less than 5 stars! Awesome tool. Lets you organize your assets. Import publish reference in and out your exported scenes. Great Job clapperboy. Five stars, not less!! Awesome script, really fast & efficient. I love simple tools like this. The support is really fast too. Very good job! very cool tool, will come in handy. better than openPipeline and other asset managers. simply the best one. filtering items is good through. thank you.keet it updated!